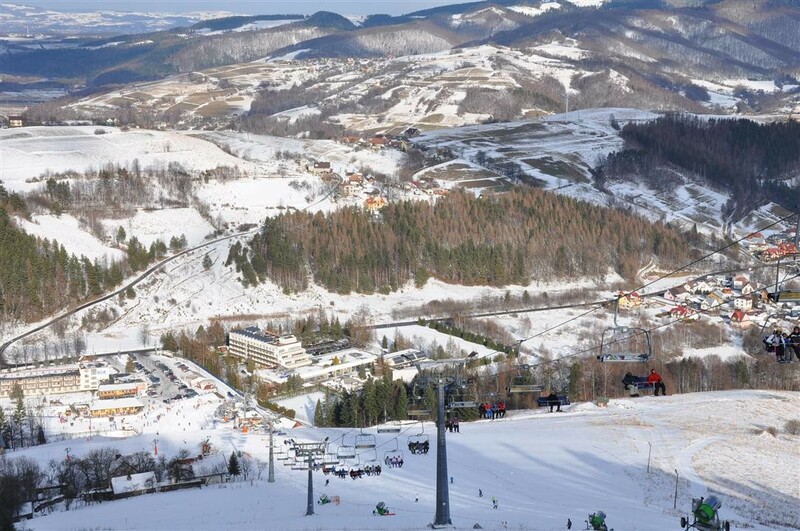 Ski station Ryterski Raj is located in the village Rytro in Beskid Sadecki about 20 km from Nowy Sącz, on the route-Piwniczna Stary Sacz in the beautiful valley of Poprad. Wki station was opened in 2005 and immediately became an important centre of winter sports on the Polish tourist map. Large group of customers are tourists from Ukraine and Belarus. For the youngest customers we have magic carpet which is connected to a very easy route to learning and their first steps on skis. Those wishing to develop their technique can take advantage of two slopes with a length of 400 meters. Advanced skiers can take advantage of slopes with a length of: 800, 1000 and 1200 meters.